This topic contains 22 replies, has 4 voices, and was last updated by 10209Dappahct 2 days, 15 hours ago. 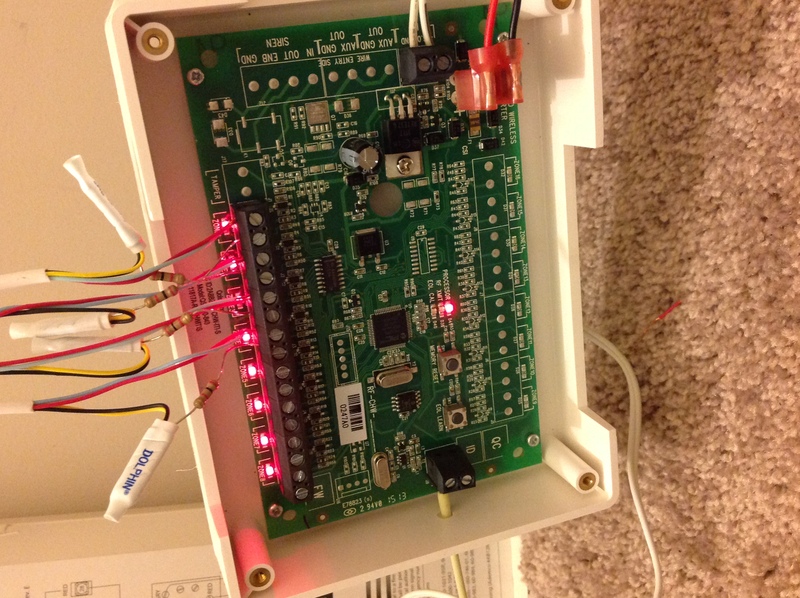 I have a Qolsys IQ Panel 2+ panel and a Qolsys IQ Hardwire 8-S Wired To Wireless Converter, My old unit is a Concord 4. 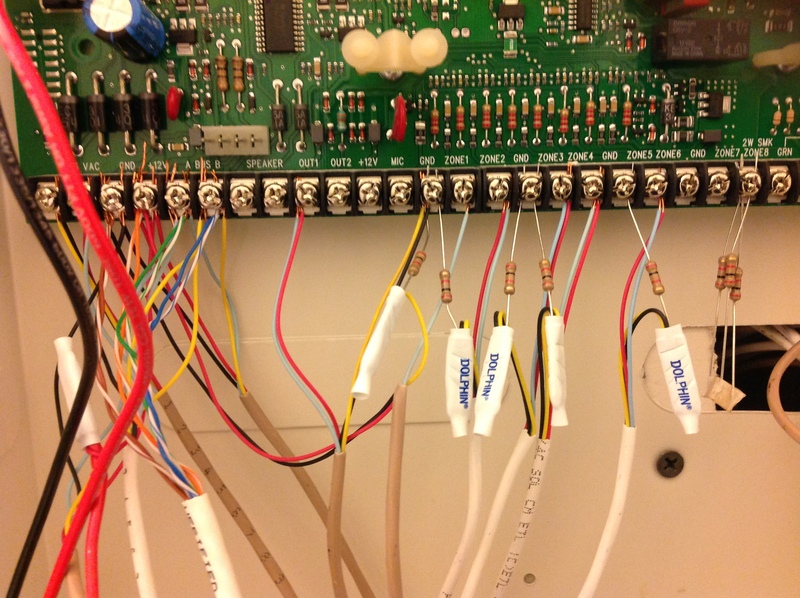 I’ve followed the installation of a Hardwire 16 setup video from Qolsys. And I can not Arm my system it bypasses All zones. Would you be able to upload a picture of how you have the Qolsys IQ Hardwire 8-S wired now? I am adding a link to the Hardwire 8 manual here. Note that all of your zones are showing as open and tampered. This likely means a wiring or pairing issue being the cause. 1. The Zone must be learned in with the sensor connected. You cannot learn in a zone with a jumper or another circuit first. The circuit’s unique resistance value is measured when pairing and must match. 2. You must have appropriate resistors wired into the zone circuit in series. The Hardwire circuits accept between 1kohm and 10kohms. If the resistance is outside of that (like 0) you will see this kind of tampering issue. Here are the photos, also I included a photo of the Concord 4 panel. 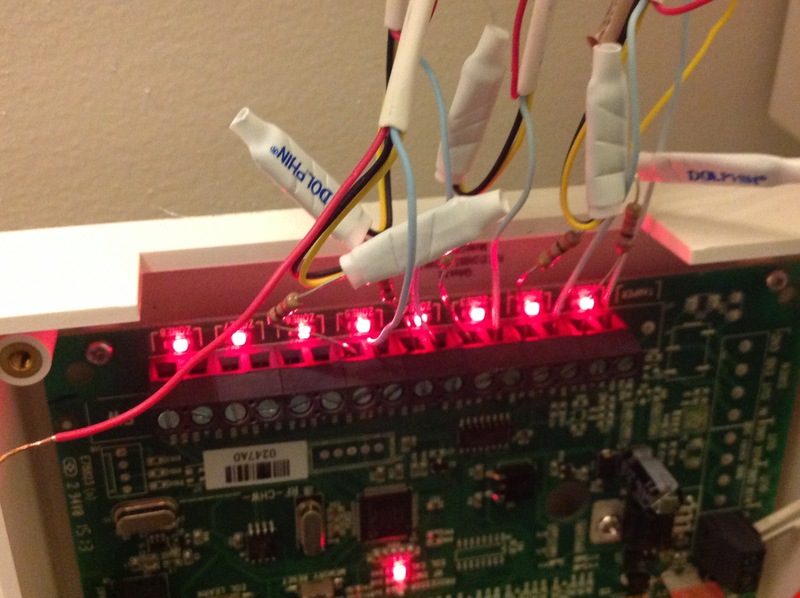 I use the resistors that was on the Concord 4. Could you confirm what wires are being attached to each zone terminal pair? It looks like in the top photo you have a jumper coming from the bundle of spliced wires and the resistor going to the zone terminal. You should not have that. For each zone one end of the circuit should connect to a zone terminal, the resistor should connect to the other. No other wires should be attached. Here is a better photo, Yes the wires are attached to each zone. 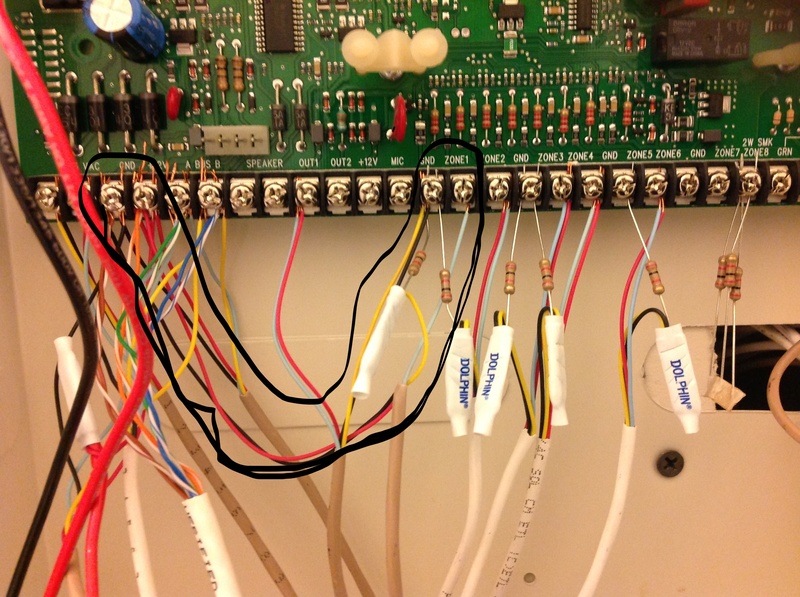 Do I need the blue and red wire connected to the zone? I couldn’t say based on the image where the other end of those wires are attached, but in general, no, you would only have a single wire in each terminal. If you have two wires connected to the terminal, and if each wire pair goes to a sensor, that is called wiring in parallel. If you wire sensors in parallel, ALL of the sensors on that circuit would need to open at the same time in order for the zone to open properly. Series wiring is what is used for sensors. In a series circuit, the zone opens if ANY of the sensors open. I can’t think of any obvious reason why the wiring should look as it does. Was it wired that way on the old panel? Are any of those zones supposed to be Glass Breaks or Motion Detectors? Thanks you for that information, I would like to start over connecting the Zone(s). To answer your question about the wires, yes that is the way the old system had them. and I had only connected the Door zones and the Glass Break sensor is wireless and “IS” connected. 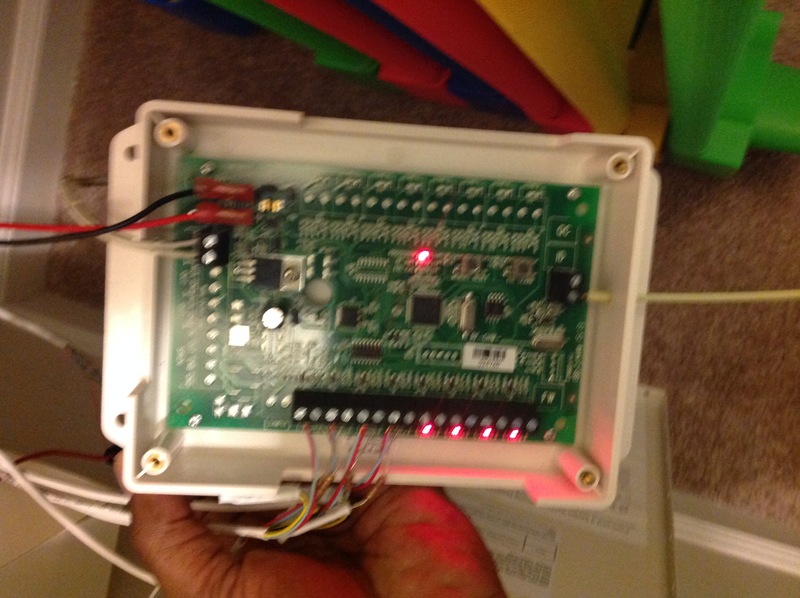 AS far as the Motion Detector (pictured in Zone 1), it is wired and i do want to add it. In connecting the Motion Detector, should I just use the red wire and the resistor wire. The motion detector would require power. Red should be connected to the Aux output on the Hardwire module and the black should be connected to the ground. the sensor circuit wires would be blue and yellow and connected to the zone terminals. looks like THE Qolsys IQ Hardwire 8-S Wired To Wireless Converter does not have a Aux output. Ahh yes correct, the Hardwire 8 does not have an Aux, so the powered sensors (like a wired motion) would not work with the Hardwired 8. The hardwired motion could be powered off of the old panel, or a separate power supply. Ok, this is very frustrating!!! !, I just rewired the Zones ( just using the wire with the resistor with only the red wire) Sensors still open, the changed the wire to use the blue wire with the resistor wire and the sensors are still open….. 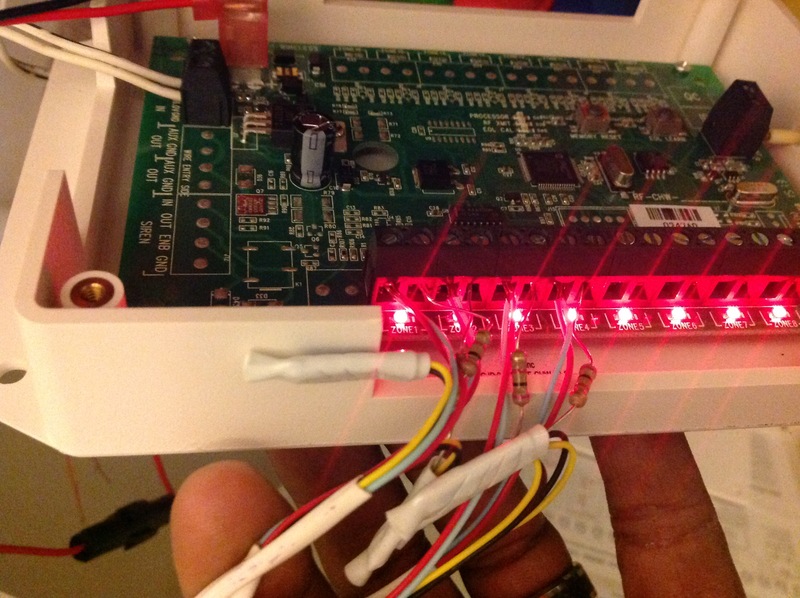 Since all of your zones are showing as open and tampered, there are two things to check, Wiring or Pairing. 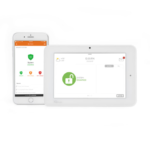 When it comes to pairing, the Zone must be learned in with the sensor connected. You cannot learn in a zone with a jumper or another circuit first. The circuit’s unique resistance value is measured when pairing and must match. Regarding wiring, you must have appropriate resistors wired into the zone circuit in series. The Hardwire circuits accept between 1kohm and 10kohms. If the resistance is outside of that (like 0) you will see this kind of tampering issue. What is the current resistance of each zone that is reporting open? This video may further assist with the pairing/installation process, even though it applies to the gen 1 panel and HW16, the installation and programming is roughly the same.